The net neutrality roller coaster in the US has taken another turn as US Court of Appeals for the DC Circuit has bolstered support for current regulation. Only a few days following FCC Chairman’s Ajit Pai’s battle cry to put an end to the Obama-administration open internet regulations, the Court of Appeals has turned upheld its earlier decision that the FCC’s 2015 net neutrality rules. Pai and co. may have been hoping for a more favourable outcome as the complication and confrontational task of repealing regulation begins. To say the net neutrality has had a bumpy start to life would be somewhat of an understatement. The rules may have been written into history in 2015, however the first significant challenge came from a telco coalition last year, as industry trade groups such as US Telecom and the NCTA took rules and reclassification to the courts. In short, the telco industry challenged the US Court of Appeals 2016 decision to state net neutrality is lawful, asking them to reconsider the position. They said they had it right the first time. The split decision in favour of net neutrality regulations was not well received at the time, and the current decision has received the same frosty reception. “I disagreed with the Court’s 2016 split decision, and also disagree with the split decision not to reconsider the matter en banc,” said Republican FCC Commissioner Michael O’Rielly. “However, this issue is somewhat moot for now as the Commission is under new leadership and headed in a far better direction. While it is a moot point now, a decision to review the appeal En Banc (all of the sitting judges as opposed to a smaller panel) could have been an easy win for Pai and co. There is certainly a more Republican feel to affairs now, though the argument will now have to be escalated to the Supreme Court before facing another fresh set of appeals from the losing side. With the full weight of the telco industry and now the US government opposing the rules, it would appear to be a matter of borrowed time for the regulations. That said, the Democrats and supporters of the current net neutrality regime did promise a battle. 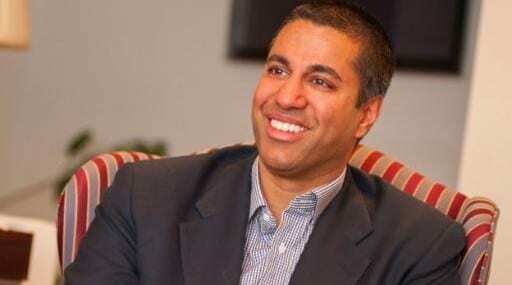 This ruling makes things just a little bit more complicated for Pai, but he might be glad of the work, as if he gets his own way the FCC will be looking very different, with very little to do. Repealing the net neutrality rules will create a much more hands-off regulatory landscape, removing a substantial amount of influence from the FCC, but this will only be the first step. One of Trump’s key advisors Mark Jamison has previously written of ambitions to trim down the FCC, transferring responsibilities to other agencies. The FCC should only focus on license radio spectrum, though this should only be concerned over the property right for use and not about content, according to Jamison. So now we see Pai grand plan; he’s not trying to reform regulations to make a fairer America, he just wants more of a lie in. Removing net neutrality rules will be the first step to lightening the workload, and with Jamison burrowing away in the background, Pai will have a few less responsibilities to deal with before too long. The politicians might talk about the American dream and increasing investments in broadband, but we see through the thin veil of deception; they are just as bone idle and lazy as the rest of the politicians around the world. How have open source groups influenced the development of virtualization in telecoms?